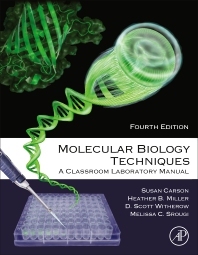 Molecular Biology Techniques: A Classroom Laboratory Manual, Fourth Edition is a must-have collection of methods and procedures on how to create a single, continuous, comprehensive project that teaches students basic molecular techniques. It is an indispensable tool for introducing advanced undergraduates and beginning graduate students to the techniques of recombinant DNA technology—or gene cloning and expression. The techniques used in basic research and biotechnology laboratories are covered in detail. Students will gain hands-on experience on subcloning a gene into an expression vector straight through to the purification of the recombinant protein. Dr. Heather Miller is an Assistant Professor of Biochemistry in the Chemistry Department at High Point University (High Point, NC). She graduated from Clarion University of Pennsylvania (Clarion, PA) with a B.S. in Molecular Biology/Biotechnology, and from Duke University (Durham, NC) with a Ph.D. in Molecular Genetics and Microbiology. She completed a teaching postdoctoral position in the Biotechnology Program at North Carolina State University (Raleigh, NC). Her area of scientific expertise is RNA biology. Her research focuses on HIV-1 gene expression and the coupling of transcription and splicing in humans. She has taught at the college level for nine years, and is engaged in the scholarship of teaching and learning. Dr. Melissa C. Srougi is an Assistant Professor of Biochemistry at High Point University. She graduated from the University of Toledo (Toledo, OH) with a B.S. in Biology, and from Case Western Reserve University (Cleveland, OH) with a Ph.D. in Pharmacology. Her scientific areas of expertise are in experimental cancer chemotherapeutic agents and mechanisms of chemotherapeutic resistance. Dr. Srougi actively trains undergraduate research students in her laboratory. In addition, she has developed and taught a variety of inquiry-based college level science courses and has published and presented a number of peer-reviewed papers in the scholarship of teaching and learning. 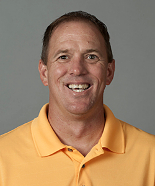 Dr. Witherow graduated from Rollins College (Winter Park, FL) with an A.B. in Chemistry, and from the University of Miami (Miami, FL) with a Ph.D. in Molecular and Cellular Pharmacology. His research has focused primarily on G protein-mediated signal transduction processes in mammalian systems. Following two research postdoctoral fellowships, Dr. Witherow served as a teaching postdoctoral fellow at North Carolina State University, where he published and presented multiple papers in the field of science education and developed a passion for teaching. He is currently an Associate Professor at The University of Tampa, where he has been teaching undergraduate students since 2011.